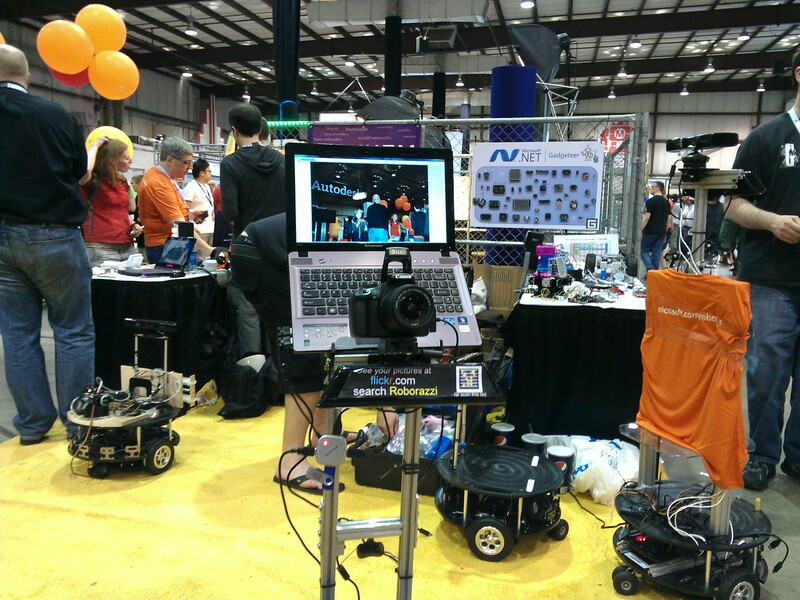 More than 100,000 people, a San Francisco Bay area contingent of what is called the maker movement, gathered in San Mateo over the weekend of May 19-20 at Maker Faire. This franchised gathering with copies in other cities is billed as “A two-day, family-friendly festival of invention, creativity and resourcefulness, and a celebration of the maker movement“. It used to be called do-it-yourself (DIY), but now we’re into headier stuff; at the past New York Maker Faire headliners’ talks included: “The Next Industrial Revolution”, “Hacking the Future”, “Making a Mesh of Things”, “Sustainable Hacker and Maker Spaces”, “How Africa can can Industrialize Unconventionally”, and to juxtapose elegance in the midst of wacked-out invention, “The Garage Mahal”. It is predictable that 100,000 hackers will assemble in Silicon Valley, but since the original Bay Area Maker Faire in 2006, simlar events have played to huge crowds in New York, Detroit, and Austin, TX. More are scheduled each year. There is a Seattle Mini Maker Faire in just over a week: June 2-3, 2012, and on the same date in Seoul, Korea. In Raleigh, North Carolina on June 16, 2012. In Dublin, Ireland on July 14, 2012. 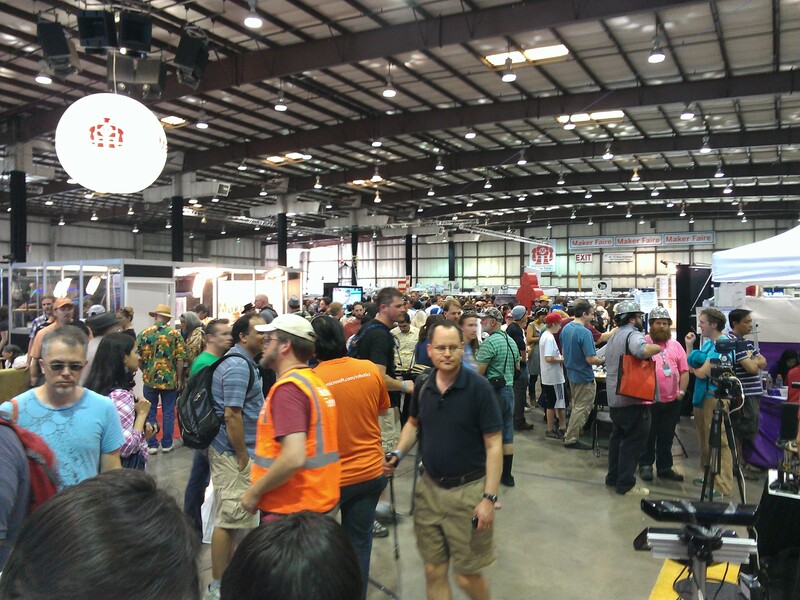 Numerous others can be found in this list of maker faires around the world. When Texas Instruments, Boeing, and Microsoft have booths in the same pavilion with outfits that look like they belong at the Society for Creative Anachronism, you know something new is coming into existence. Besides a multitude of techies hacking the future, you’ll find people learning to weld their inventions into reality, robot designers with creations that wander through the crowd taking pictures or designed to follow senior citizens who want to live at home, people learning to use industrial sewing machines, or solder, or find out where they can rent time on a lazer cutter or 3-D printer. Bloggers have discovered they no longer need to send manuscripts to New York publishing houses. The maker movement is determined to push the analog of print-on-demand toward manufacture-on-demand, anywhere, by semi-autonomous industry and open-source code. I’m partial to the .NET Gadgeteer platform. 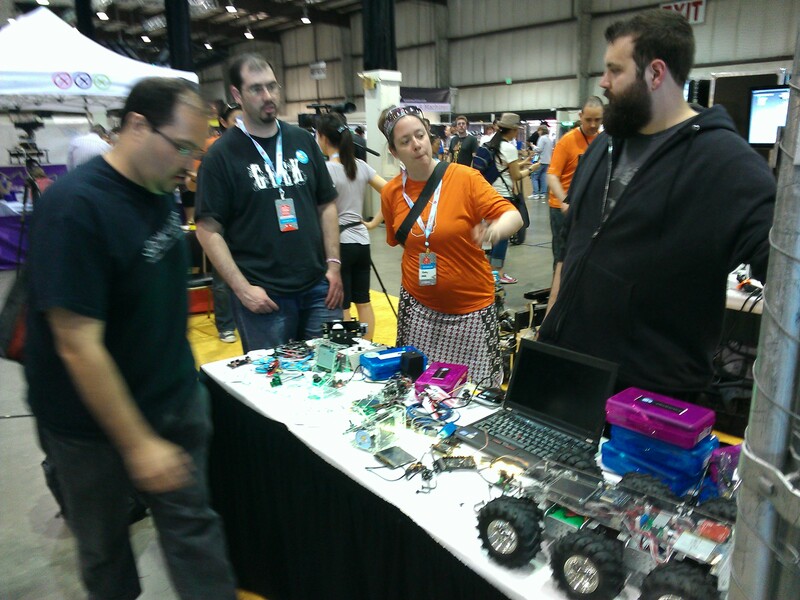 I work on it and participated in the demos and discussions at Maker Faire in New York and San Mateo. Eric Von Hippel is an author who has grasped the potential of the maker movement. Von Hippel is T. Wilson Professor of Innovation Management at MIT. His book published by MIT Press and titled Democratizing Invention describes how and when users find it profitable to develop new products and services themselves, and why it often pays users to reveal their innovations freely for the use of all. Papers by Von Hippel and others are available on the Web site of the Social Science Research Network. A study of consumer do-it-yourself researchers in the UK by Von Hippel, Jeroen De Jong, and Steven Flowers, says do-it-yourselfers collectively spend more money on innovating for themselves than do all UK firms developing new products for consumers. Another paper by Von Hippel, Christoph Hienerth, and Morten Berg Jensen, says that users (DIYers) who innovate for themselves are more efficient than corporate producers: Innovation as Consumption: Analysis of Consumers’ Innovation Efficiency. Von Hippel and Carliss Y. Baldwin argue that innovation opportunities where user innovators can successfully compete with manufacturers are an expanding area of the economy: Modeling a Paradigm Shift: From Producer Innovation to User and Open Collaborative Innovation. The next time you get a piece of fear-mongering email or a letter that telling you how to profit from the coming economic holocaust, think about the Maker Faire alternative. A trip to the nearest maker event could be cheaper than a subscription to one of those newsletters. The investment will help you sleep at night and do more good than abetting copy writers who appeal to fear and greed. See you in Seattle, June 2-3. This entry was posted on May 23, 2012, 11:14 AM and is filed under Embedded Microcontrollers, Internet Media. You can follow any responses to this entry through RSS 2.0. You can leave a response, or trackback from your own site.